The flexibility of the hybrid-electric system provides opportunities for further efficiency and functionality improvements in the whole machine through use of 48-volt electrics. Following a significant investment in hybrid engines and electrification research, Perkins is showing a range of technologies that will add real value to original equipment manufacturers (OEMs) as they design the next generation of off-highway machines, the manufacturer said. 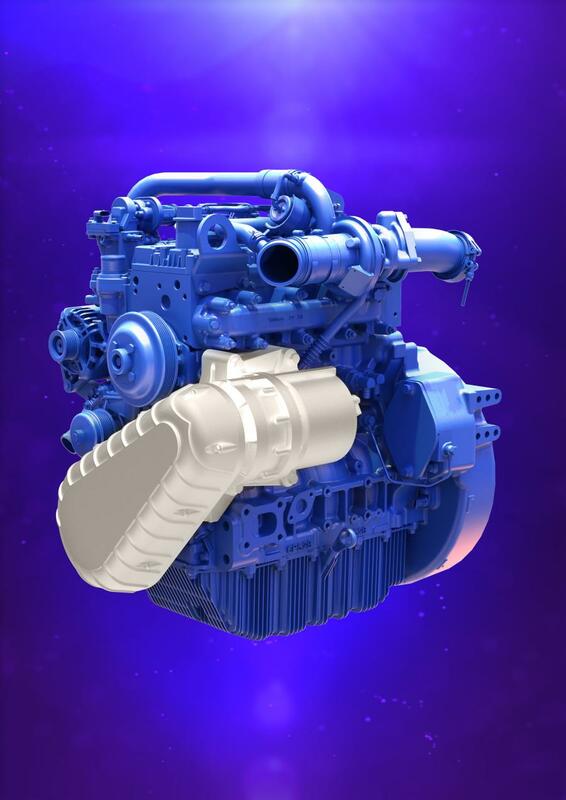 The hybrid-electric, hybrid-mechanical and hybrid-hydraulic power technologies complement Perkins existing 0.5–18 L range of diesel engines, ensuring OEMs and their customers benefit from machines that are more productive, quieter and have lower fuel consumption, whatever power solution they select. Matt Coleman, product director at Perkins said, "Through our close technical collaboration with our OEMs, and using a huge amount of real field data, we develop solutions that are truly relevant to the construction sector. By collaborating with Perkins, OEMs can accelerate their research and development project, saving themselves time and money." To provide the close technical collaboration required to meet customers' needs, Perkins has established a dedicated team — the Perkins Expanded Offering Product Team. "Our research programs into future power trains have focused on both fundamental technologies such as battery ruggedization and on system integration," said Coleman. "We find ourselves in an excellent technology leadership position to help our OEM partners develop the machines of tomorrow." "There isn't one solution that fits all machines," said Coleman. "Perkins is establishing itself as an integrator with multiple hybrid and electric power technologies. "The difference between off-highway machines in operating conditions means that there is limited, if any, value in technology transfers from other sectors such as automotive, truck or marine." 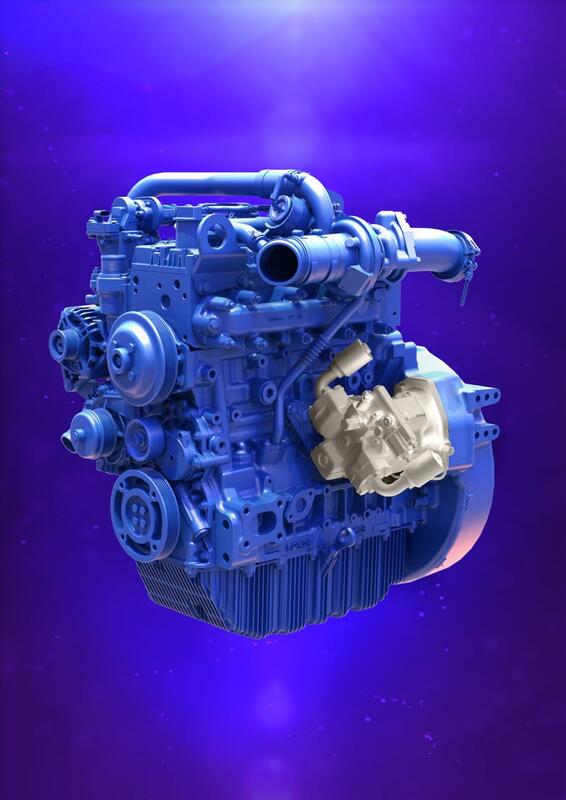 Perkins is offering hybrid and electric technologies across its EU Stage V power range from 8 to 630 hp (6 to 470 kW). 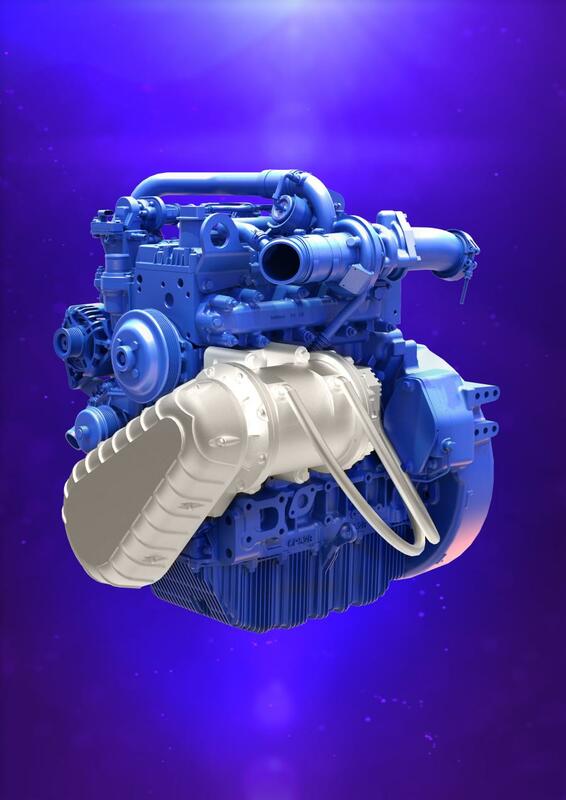 At bauma 2019, Perkins highlighted three hybrid power solutions through three engines, all at 100 hp (75 kW). To demonstrate modularity and flexibility, all three hybrid solutions were based on the PerkinsSyncro 2.8 litre. There are several ways to incorporate the electric motor or generator, with Perkins preferred arrangement delivering excellent fuel saving benefits while moderating the installation impact and minimizing the cost impact on the machine. The flexibility of the system provides opportunities for further efficiency and functionality improvements in the whole machine through use of 48-volt electrics. This stores energy in a high-speed flywheel which can be delivered back to the machine. This is particularly useful in hybridizing machines that run a cyclic operation and need very intense bursts of additional power. Apart from the very quick energy release, the advantage over hybrid- electric is in installation size. "For some machines and specific requirements such as mini excavators and compact wheeled loaders, full electrification of vehicles is already a practical commercial proposition," said Coleman. "It is possible to replace a diesel engine with lithium-ion batteries and an electric motor. However, the dynamics of the defining features such as battery durability, cost, recharging infrastructure and product support, do not immediately translate into an attractive fully electric proposition for all operators of construction machines. Since the customer value proposition is very diverse, the range of solutions is equally diverse. One size does not fit all. The technologies that Perkins is proposing offer practical benefits in terms of productivity and operating costs in a much shorter timeframe." Tom Carlill, new product introduction program manager in the Perkins Expanded Offering Product Team, added, "Our conversations with OEMs indicate that their research and development departments are under intense pressure to implement regulatory changes and customer features to current machines, as well as to plot a path towards future technologies. "By working with the Perkins Expanded Offering Product Team they will be able to achieve better project outcomes and deliver more productive, cost competitive and more relevant solutions for their markets," said Carlill. "By sharing our advanced tool set, skilled team and excellent facilities OEMs will achieve these superior results quickly and at the lowest cost." For more information on Perkins technology, visit www.perkins.com/hybrids.